Challenge: This is an early 1950′s photo of Carol. 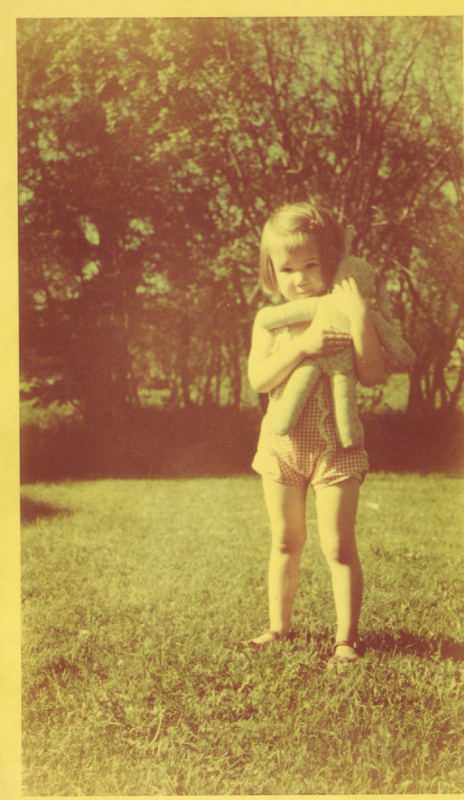 The Kodacolor print had become brittle and yellow over time. Quality retouching of the color at a reasonable cost was the goal. Solution: We scanned the original photograph and retouched the color contrast globally. This is a low cost solution which gives satisfactory results in many cases. Where the color is so distorted as to make this solution impossible, digital coloring techniques can be used instead. (See the digital coloring section of the site for examples). 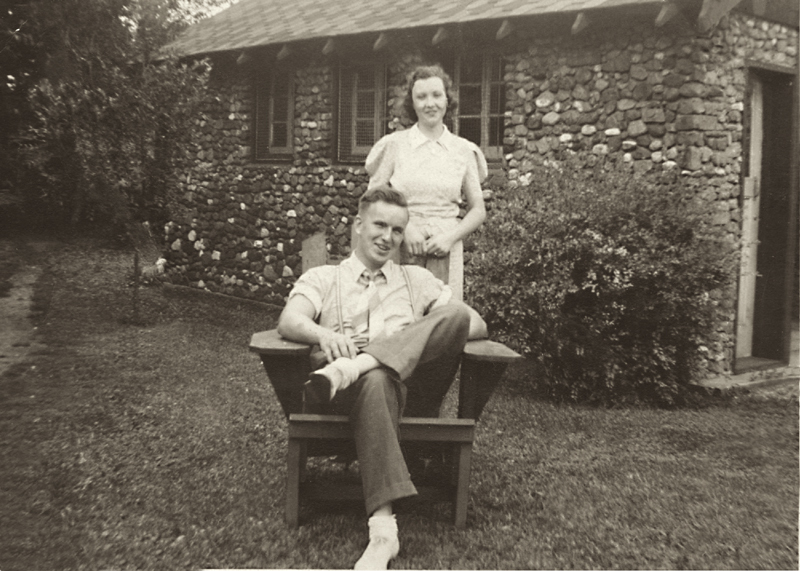 Challenge: A 50-year old badly damaged black and white photograph from a honeymoon. The customer wanted it restored. 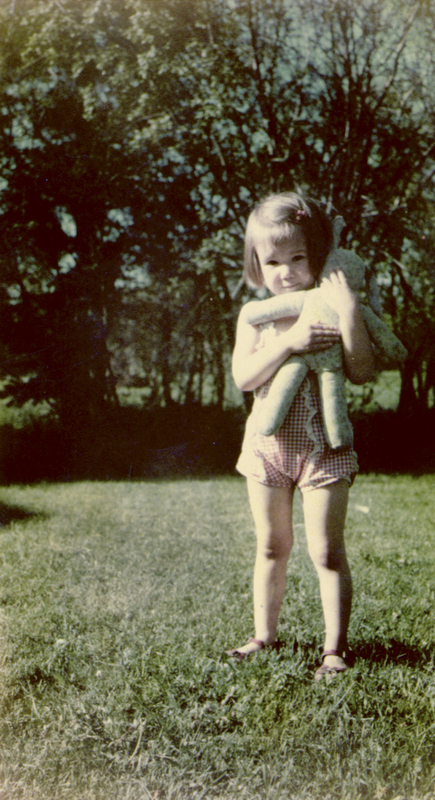 As we do not work on original photos, we did the restoration by retouching a scanned version of this picture. Solution: Using Photoshop’s digital retouching tools, we corrected the scratches and cracks, and improved the tonal range and contrast, adding a warm uniform hue of sepia. 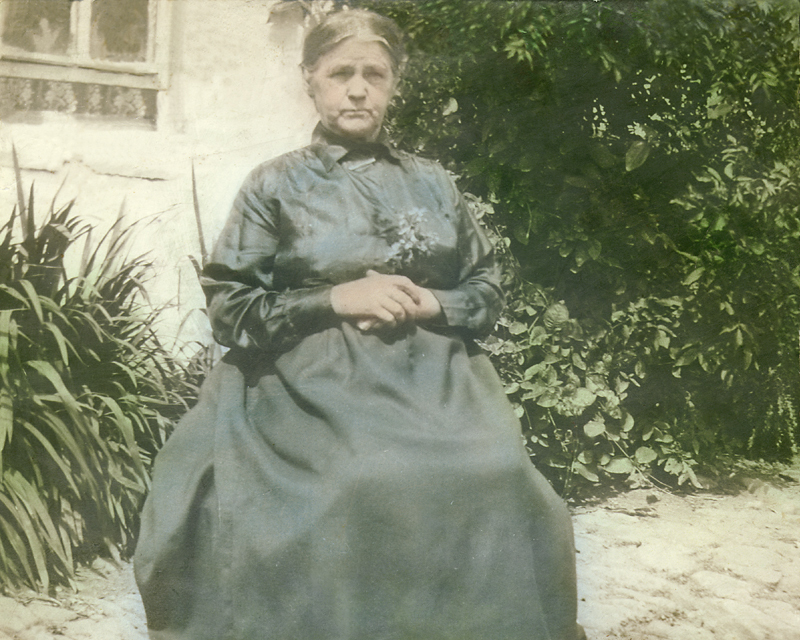 Challenge: This lovely old hand-tinted photo of our customer’s great-grandmother in Ireland was faded, creased, cracked and pitted. Solution: Since the original was hand tinted we knew the colors would not have been very intense. After retouching the damage, we graduallly increased the color until the warmth was restored. Finally, we printed the retouched image on a matte finish photo paper to create a photograph as close to the original as possible. Traditionally, a photo specialist, using a magnifying glass, tiny brushes and a light table, painstakingly retouched a negative and then made a print. 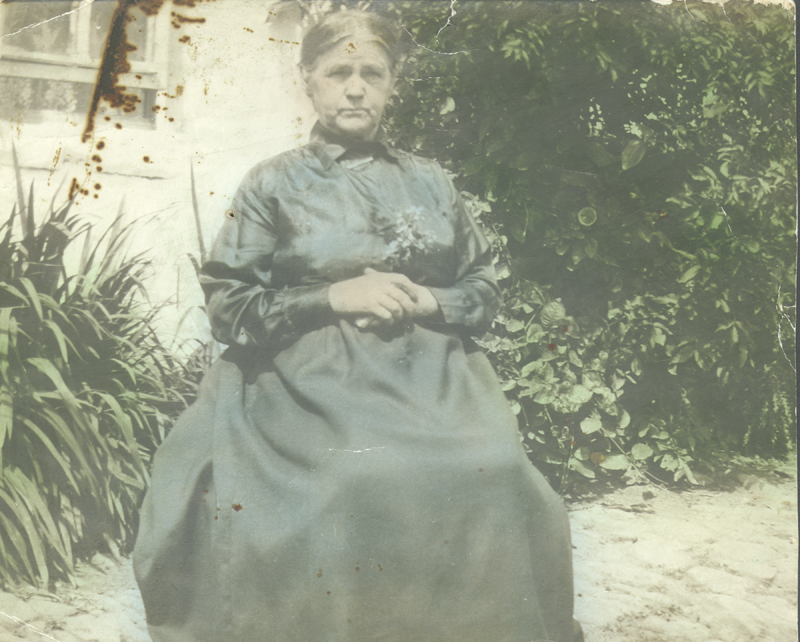 Today, photos, negatives and slides are scanned and restored digitally, usually with far superior results. The process seems magical but is still often time consuming. The minimum graphics charge to retouch an image is $15.00, which is up to 10 minutes of work, and does not include the cost of the print. We can give you a firm estimate upon examination of the photo. The original photo is always returned unaltered.